In Nevada, a federal bankruptcy judge has approved an agreement that will see billionaire American businessman, Larry Ellison, pay approximately $35.8 million in order to assume control of the shuttered Cal Neva Resort and Casino. According to a report from the local Sierra Sun newspaper, United States Bankruptcy Court Judge, Gregg Zive, signed off on a compromise deal earlier reached between the current owner of the Lake Tahoe property and its creditors on Tuesday, which means that Ellison could finalize his purchase as soon as next week. Opened in 1926 on the border between California and Nevada, the Cal Neva Resort and Casino was acquired by legendary entertainers Frank Sinatra and Dean Martin in 1960 and soon became a playground for some of the world’s most famous celebrities including the likes of Marilyn Monroe and Sammy Davis Jr. However, the property, which includes a ten-story hotel tower along with a small casino, struggled to turn a profit after Sinatra sold his stake in 1968 and subsequently changed hands several times amid continuing underperformance. 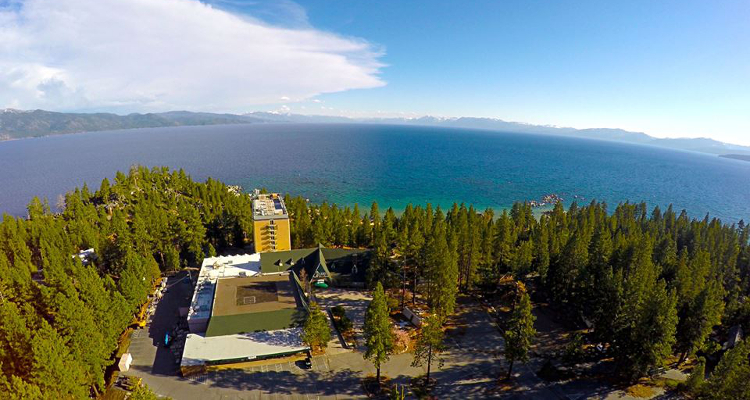 According to a report from the Tahoe Daily Tribune newspaper, the Cal Neva Resort and Casino was eventually bought by Criswell Radovan in September of 2013 and closed so that the California developer via his New Cal-Neva Lodge LLC enterprise could carry out roughly $49 million in renovations. But, the property never re-opened and filed for Chapter 11 bankruptcy protections three years later, which set off a prolonged court battle involving numerous creditors. The Tahoe Daily Tribune reported that the deal reached between Ellison, who is the man behind computer technologies giant Oracle Corporation, and those owed money by New Cal-Neva Lodge LLC is due to see Texas financing firm Hall CA-NV LLC receive almost $26.9 million while The Penta Building Group of Las Vegas will pocket just over $8 million.